The hospital of Traumatology and Orthopaedics offers round the clock emergency medical care, thus you have the possibility to receive medical care in case of an acute trauma, however, please take into account that the hospital only treats traumas to extremities and the spine caused by mechanical factors, for example, wounds, abrasions, contusions, fractures, sprains, ruptures of muscles, tendons and ligaments, and mechanical damages to joint structures (cartilages, capsules, menisci). In case of acute traumas, one should go to the Emergency Room of the Casualty Department in Riga, Duntes Street 22. 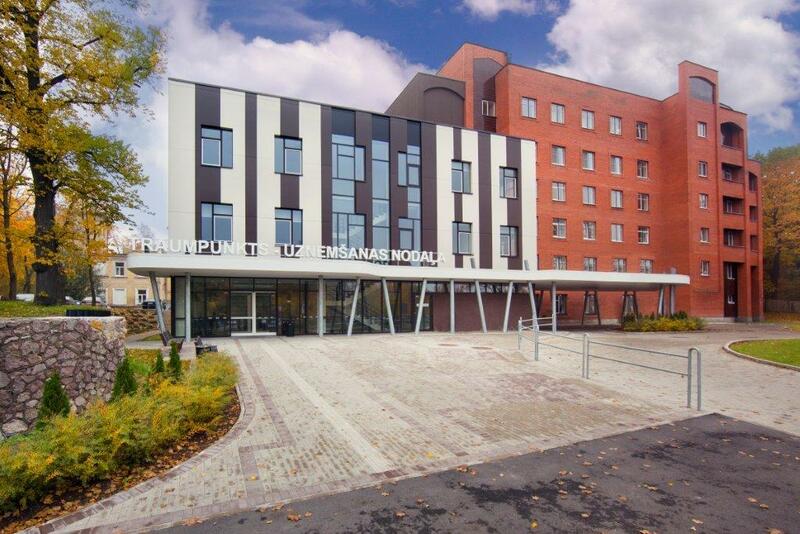 The hospital is the only specialized medical treatment institution in Latvia that provides primary and secondary care by highly qualified medical staff in cases of skeletal injuries, the prevention of complicated injuries, and orthopaedic and reconstructive surgeries in various types of skeletal and joint diseases. With its performance and provision of specific services, the hospital is the leading medical treatment institution in Latvia in the healthcare sector. The hospital is a medical treatment institution whose operation is development-oriented and its employees are competent, professional, client/patient-oriented and motivated. Through their professional activities they help society by ensuring the safeguarding, improvement and promotion of its health. The hospital focuses on the purposeful improvement of efficiency, including efficient personnel management. The main activity of the hospital is emergency and secondary outpatient care and the provision of inpatient medical services. The hospital in cooperation with the Latvian Association of Traumatology and Orthopaedics carries out the analysis of the work of traumatology and orthopaedics and determines the strategic directions for development of this medical sector in Latvia. MISSION: to remain the leading provider of traumatology and orthopaedics services in Latvia that ensures quality medical assistance to patients and support to the professionals of the sector. VISION: to strive to become a traumatology and orthopaedics hospital of European interest in which the synthesis of medical treatment, education, and research ensures modern medical care for patients with musculoskeletal disorders. STRATEGIC OBJECTIVE: to safeguard, improve, and renew the health of people by ensuring the provision of healthcare services according to the specialization. Our CORE VALUE is competent employees oriented towards the acquisition of new knowledge and skills, the exchange of experience, and cooperation. They work as a united team to achieve common objectives.